(Update 2017) As you can probably tell, I’ve spent some time this year experimenting with and trying out new versions of recipes. I’ve changed them here on the blog to reflect how I am eating now. For the most part, I’m keeping the recipes healthy. But you’ll notice a few family favorites here and there that are not necessarily the healthiest. There are just some things I don’t want to change. Not just yet anyway. 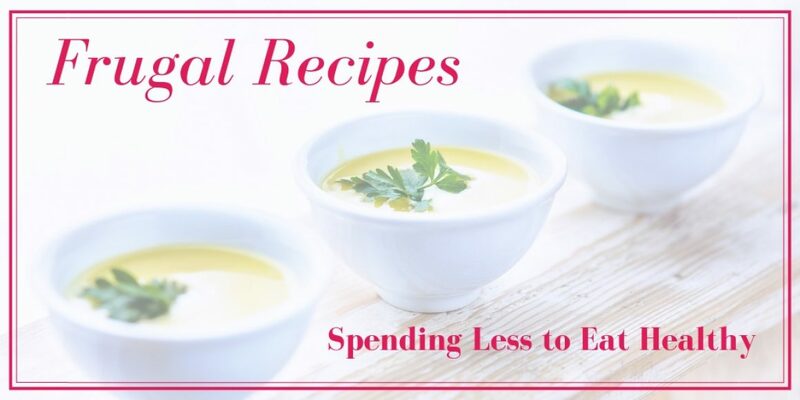 While the overall focus of the blog has become eating healthy on a budget, there are still some recipes here that aren’t really all that healthy – only because I make them for get-togethers and such. I trust each of you knows what is healthy for you. This one is good as a snack, or as a movie night treat. This recipe can be made with children who can either use a microwave or an oven. Younger children will enjoy putting this together, if there is someone around who can pop them into the microwave or the oven. Place chips on a parchment lined baking sheet. Add chopped spinach or kale over the cheese. Sprinkle mild cheddar cheese over the greens. Bake at 325* for 15-20 minutes, or until cheese is melted. Use different cheese combinations to see what your favorite is. Serve with fruit water or tea. (For when you do not have enough ingredients for a whole casserole) Children who can use an oven by themselves will find this easy. Younger children can put the casserole together for you to bake. To make this recipe even easier, you can prepare it when cleaning up after your Thanksgiving meal, and pop it in the oven the next day. You could also put it into the freezer to save. Put 1/2 tsp. water in each muffin pan cup that you will fill, and then fill each one you wont use 1/3 of the way with water. Put a few bite-size pieces of turkey in bottom of each cup. Add 1 tbsp. leftover vegetables. Cover the vegetables with mashed sweet potatoes. Bake at 350* until warmed through. Can be frozen. Flash freeze in muffin tins. Pop out and put into gallon size freezer bag. Get out as much air from the bag as you can. Good served with paleo biscuits and a harvest salad or a harvest soup. This recipe is frugal because it uses leftovers from you Thanksgiving meal. It’s easy enough for an older child to make. Leftover Potatoes: You will want to make sure that these are warmed when the pan-fried food is done. You can do this in the oven. Sweet potato is a good choice. add-ins you like: sliced onions, crushed garlic cloves, and parsley. Melt the oil in a skillet over medium heat. Add the turkey, veggies, and add-ins. Cook until all is warmed through. Take the potatoes out of the oven and spoon them on the plates as well. Try adding roasted squash to the meal as well. Serve with a small smoothie bowl. If you’re lucky you wont need to buy anything extra for this, making it a very frugal meal indeed. Children who can use an oven by themselves will find this easy. Younger children can put the casserole together for you to bake. To make this recipe even easier, prepare it when cleaning up after the Thanksgiving meal, and pop it in the oven the next day. You could also put it in the freezer. Put 1/4 cup water in a baking dish. Cover the bottom of the baking dish with bite size pieces of turkey. Cover the turkey with leftover vegetables. Cover the vegetables with mashed potatoes. Squash could be used in place of the potato. If there are varying tastes, or not enough potatoes to cover the casserole, top 1/3 with regular mashed potatoes, 1/3 with mashed sweet potato, and the last third with squash. Good served with paleo rolls and a harvest salad. This recipe is great as a snack, or can be made for a Halloween. Children will love helping you make these, once they have cooled. Line a cookie sheet with parchment paper (can be wiped and reused later). Place 4 slices of bread on the cookie sheet. Put a slice of cheese on each slice of bread. Put a slice of bread over each slice of cheese. Bake both at 350* until cheese is melted. Remove cookie sheet from the oven. Remove the sandwiches from the pan and place on a cutting board. Allow to cool some. (This is the part the children can do!) Use the pumpkin-shaped cookie cutter cut ghost shapes out of the sandwiches. This actually gives you eight pumpkin-shaped cheese sandwiches. The cutouts and the outer edges. I love strawberries, and I love coconut. I love mixing coconut cream with pure extracts to come up with different flavorings. This recipe uses pure mint extract. Add add different toppings to this for variety, choosing something different each time you make it. Put a few tablespoons of cream into the bottom of a small sundae cup. Sprinkle with the baker’s cocoa and give it just a little mix. Grow and/or pick your own strawberries to save money. Try using a different type of pure extract, such as almond or vanilla. Serve for breakfast with a turkey based egg scramble. Serve for dessert or a snack. Serve for lunch or dinner with a casserole. I love Parfaits. I put them into the sundae cups for a nice treat. I have real tea spoons with long handles that I place in the cups to add just a little fanciness to this treat. toppings such as cherries, crushed almond slivers, or unsweetened coconut cream. Layer the cream and fruit until you get to the top. These parfaits are great for daycare children to make, though adults may need to cut (or supervise the cutting of) the fruits. They are refreshing on a hot summer day. And they make great party treats. Serve at breakfast with an egg scramble. Serve for a dessert or snack. Serve as a side with lunch or dinner. P.S. If you have any other parfait ideas that you would care to share, please post them in the comments section. Thank you. Leftover Thanksgiving Soup with a Harvest Salad. There’s nothing quite like Thanksgiving leftovers. How will you use them up this year? By deciding what leftover dishes you want to make now, you’ll know how big a bird to buy. This soup is easy and affordable to make. Place everything in a pot. Cook over med-high heat until all is cooked through. Use whatever leftover vegetables you have on hand. When taking the turkey off the bone, cut a good amount of the leftover turkey into bite-size pieces. Place these in freezer containers by portion sizes, according to the dishes you want to make. Label, and freeze. Serve with a harvest salad. Nutmeg is a wonderful spice used throughout the year, but especially during the autumn and winter months. It is great for use in pies, cakes, puddings, ciders, and more, giving a sweet taste and aroma. Note: Consult a doctor if you are being treated for any illnesses before using any type of food for its’ health benefits. WARNING: Too much nutmeg is NOT a good thing, as it contains a poison that is dangerous if consumed in large amounts. It is considered a psychoactive food. These are great as snacks, or in a lunchbox. They are affordable, and can be made from leftovers. Roll-ups are also quick and simple to make. Place the chicken on the tortilla. Place the lettuce and spinach leaves on the chicken slices. Roll up the tortilla and wrap or place a toothpick through the roll-up to hold it together. NOTE: This recipe can be made without the tortilla if desired.